This Rustic Silver Cast Iron Pineapple Trivet 9” is an excellent addition to any beach or tropical themed kitchen. Handcrafted from Cast Iron by our master artisans, this Pineapple tropical themed trivet will bring a shine to your kitchen or dining room. Both fun and functional, this trivet will protect any flat surfaces from hot objects or scratches and can double as wall or shelf decorative accent. 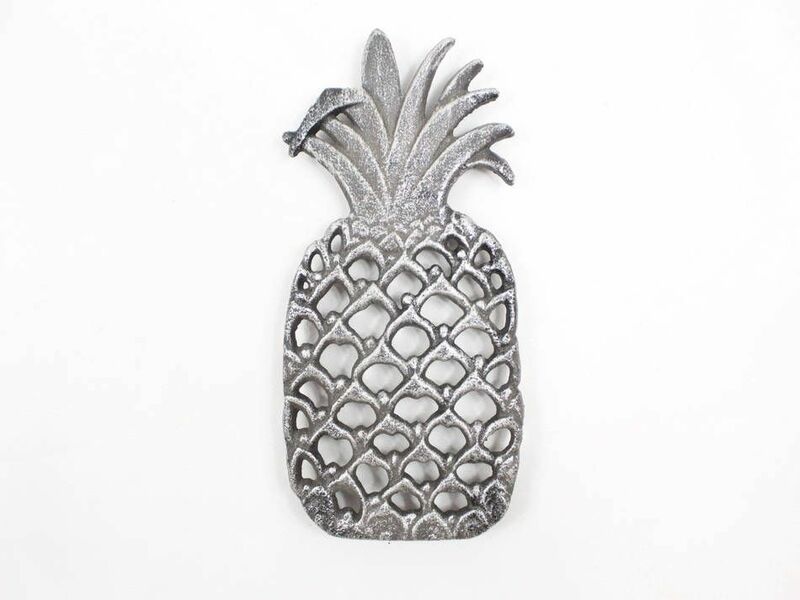 Proudly display this beautiful pineapple trivet in your home and show your visitors your fondness for tropical decor.